LinkedIn visits the gallery again! 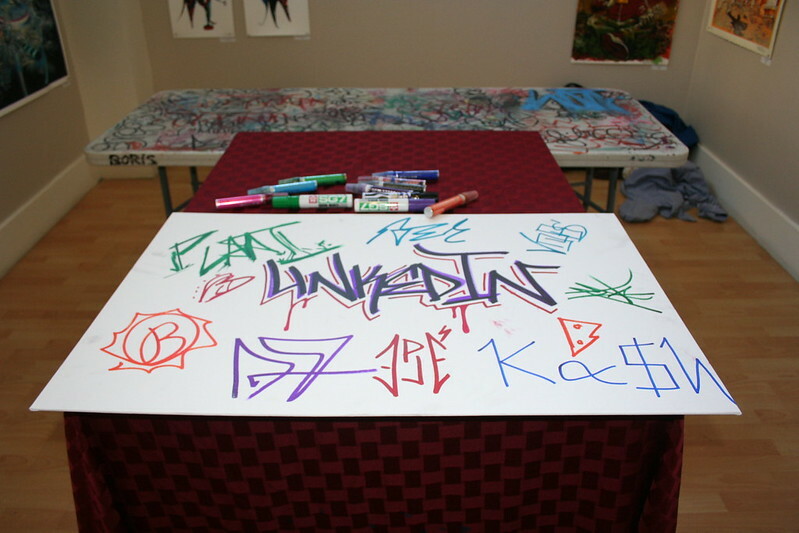 Home/Events, Graffiti Art, Mural Production, Team Building Workshops, Uncategorized/LinkedIn visits the gallery again! 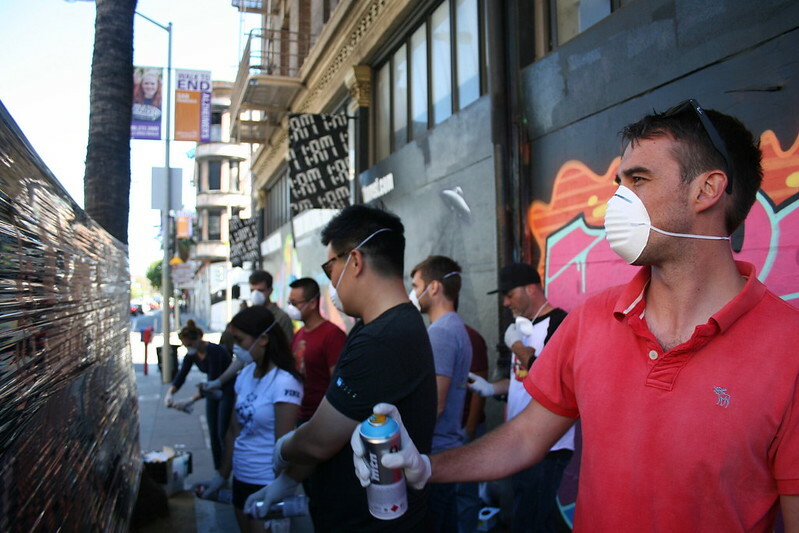 Despite having a some type of sorcerer in their midst, LinkedIn didn’t need the help of magic to produce an awesome mural with the help of our teacher! 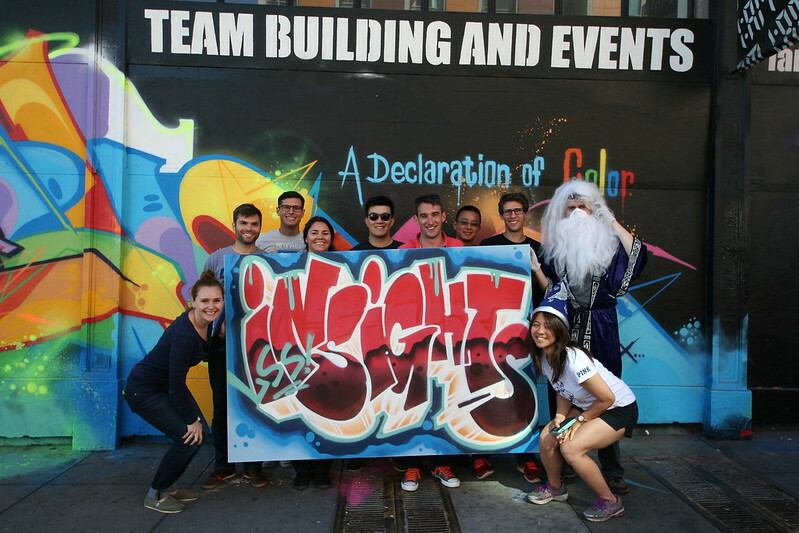 The company’s team decided to stick to their department’s name “Insights” for their final mural that they were able to take home and as you can see, they made a good choice. Email 1AM at privateevents@1amsf.com to schedule your next event with us!